In Z-Wave vs Zigbee one can see two alternative yet similar technological solutions for building wireless networks based on mesh technology. With their help, one can implement a smart-home system inexpensively and simply. Deploying projects on the basis of Z-Wave and Zigbee protocols greatly reduces the difficulty of wiring, because the installation of the equipment comes down to merely the competent placement of end devices for the coverage area. In this article, we will provide a brief Z-Wave vs Zigbee comparison and consider their practical value to users. Initially, this wireless communication protocol was introduced to the public in 2001 as a universal solution for home and office automation – using low-energy radio waves for devices consuming limited amounts of energy. To build a mesh network based on Z-Wave, equipment certified by Z-Wave Alliance (more than 300 companies under the guidance of Sigma Designs) is used. All compatible devices operate on a plug-and-play basis. This means that Z-Wave is completely adaptable so that the user can build a network with their own hands, without the need of professional skills. There is also an open source API for the protocol – OpenZWave – that allows for creating devices and applications compatible with Z-Wave. On the one hand, the need to certify equipment for compliance with a proprietary standard limits customers in the equipment selection, on the other hand, it ensures the increased compatibility and security of Z-Wave solutions (after the connection is established, all data exchanges are encrypted according to the AES-128 standard). Unlike the proprietary Z-Wave, Zigbee, released in 2003, is an open-source technology. It is also a low-power solution that allows the use of devices with autonomous power sources (as in the previous case, some devices can be powered just by batteries). When considering the main advantages of Zigbee, it is impossible not to note its outstanding scalability (the network can include up to 65,000 (!) devices), as well as a bandwidth slightly higher than that characteristic of Z-Wave (250 Kbit/s against 100 Kbit/s – sounds good, right?). We must note that in this case the “usable” transfer speed will be about 30-40 Kbit/s between the neighboring nodes and 5-25 Kbit/s over repeaters. The distance between network workstations in the case of Zigbee can be dozens of meters indoors and hundreds of meters outdoors, and the coverage area itself can reach several thousand square meters indoors and up to several hectares in open space. Zigbee’s transmission encryption is the same as the competitor – AES-128. It is noteworthy that this standard provides for the possibility of using channels in several frequency bands (868 MHz, 915 MHz and 2.4 GHz, depending on the legislation of the country where the network is being deployed). And now let us sum up the above information in the form of a comparative table of Z-Wave vs Zigbee. In the niche of smart-home system technologies, in recent years both Z-Wave and Zigbee became worthy alternatives to the traditional Wi-Fi. Which to choose for your system depends on a number of factors. We are certain that the average user is unlikely to note any particular differences. 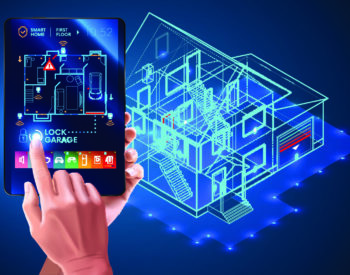 If you are interested in deploying a smart home system, contact us now! Our experts have enormous expertise in this field and we will be happy to help with implementation or advice on any issues that may arise.